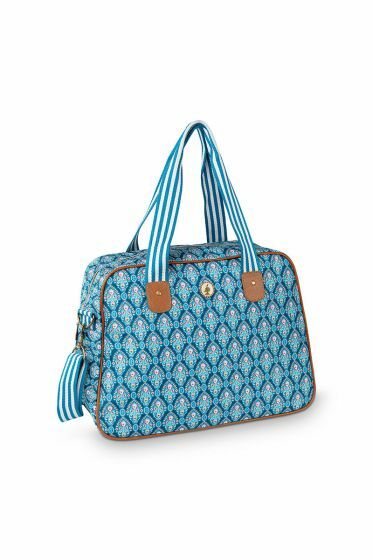 The greatest advantage of this blue Studio Pip bowling bag from the Indian Festival collection is that it can be used to hold everything from schoolbooks to a laptop and sportswear. Thanks to the flat bottom, it can be placed firmly on the ground. 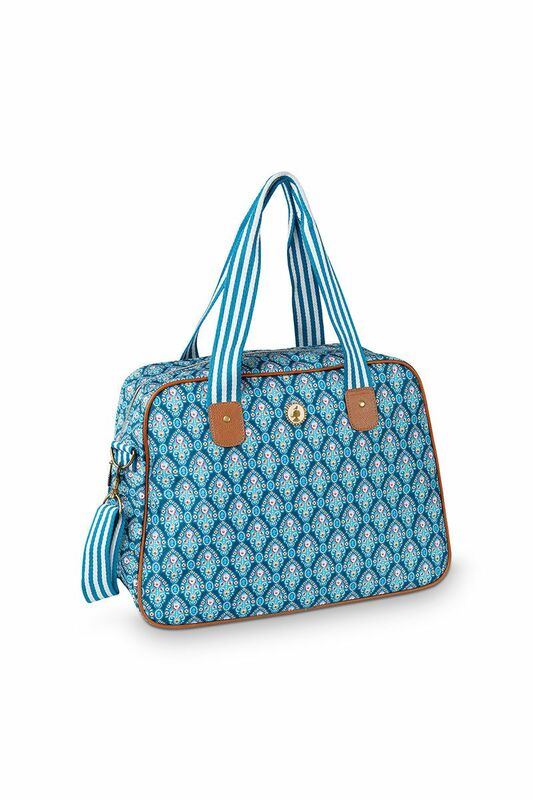 The separate compartments can be used to store important items for easy access. New to this collection is the ring for attaching your keys, so you’ll always know where to find them. The two handles let you easily take your bowling bag with you. If you prefer to carry it on your shoulder, you can simply click the shoulder strap to the rings. The design is sure to cheer up any outfit. The inside is also decorated, but with the Leaf Me print.